The trusty Penderells (see Part 1) brought Charles to the next safe house five miles away in Wolverhampton. Moseley Old Hall was the home of Sir Thomas Whitgreave, a papist and former Royalist officer who had last fought at Naseby in 1645. 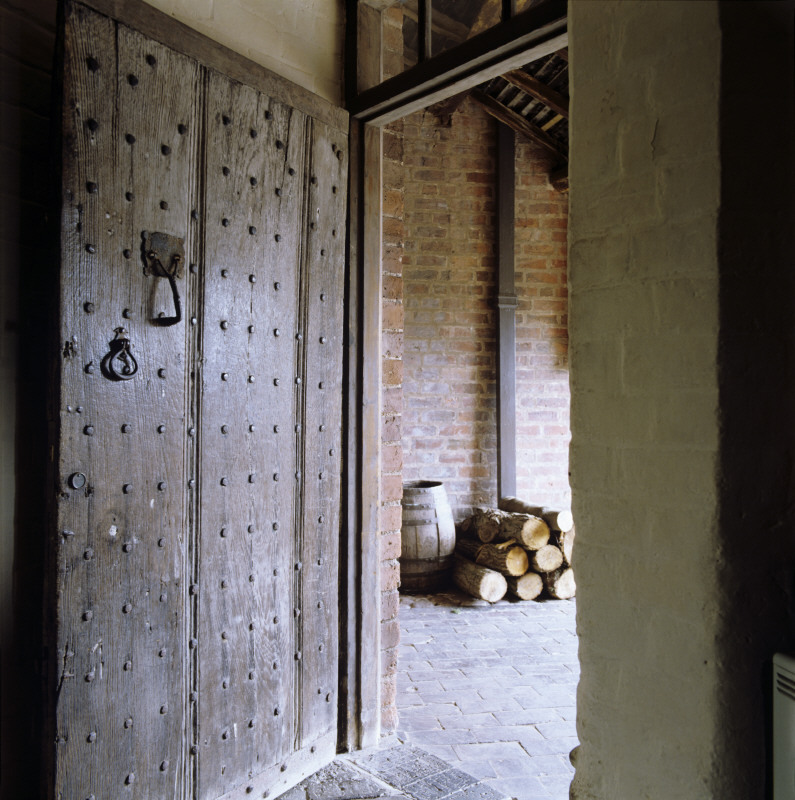 The orchard door at Moseley Old Hall. The hour was midnight in the wee hours of Monday, the 8th of September. Thomas greeted Charles at the manor’s orchard door. On hand was the King’s friend, Lord Henry Wilmot (see below), and the Whitgreave’s priest, Father Huddleston. Introducing the King to a Catholic priest was a bit risqué considering that practicing Catholicism was against the law. But one could say the same for offering the King safe haven. 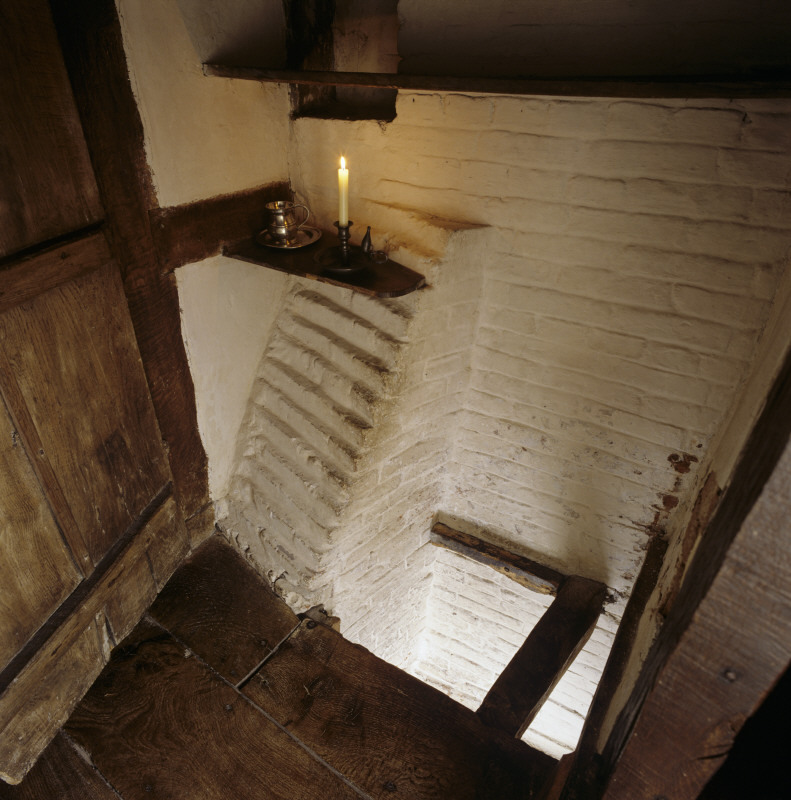 Thomas settled Charles into a guest chamber with the additional amenity of a priest’s hole. Footsore and exhausted, Charles tucked into the first bed since the Battle of Worcester. The next morning, Thomas sent all his servants “forth to work”, all except his kitchen maid who was also a Catholic. 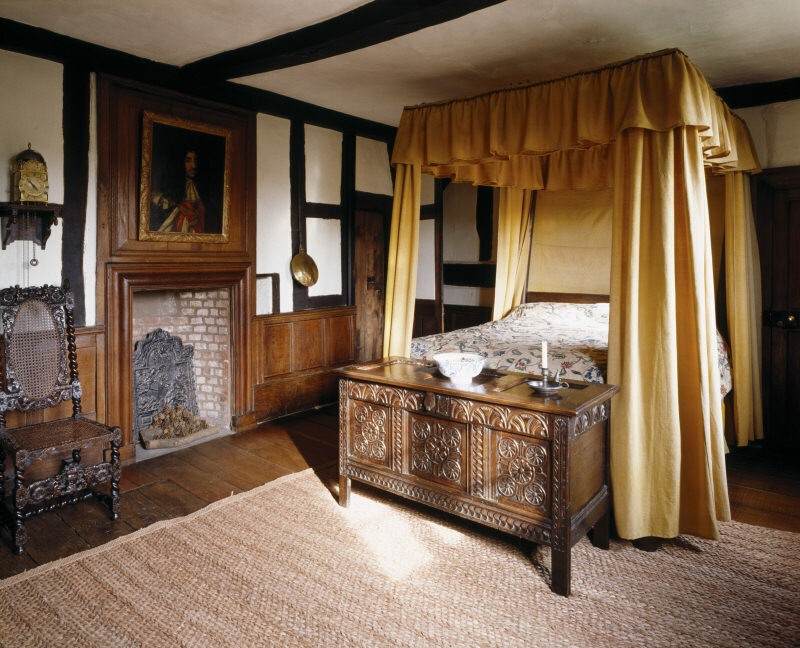 He told her that he had received a guest during the night, a relation of Father Huddleston’s who had escaped Worcester. So as not to tempt his servants (by now a £1,000 reward was posted for the King’s capture), he and his widowed mother attended the King’s needs alone. By the following afternoon (Tuesday September 9th), Charles’s infamous luck would once again be tested. While Charles rested and Thomas stood watch at the window, a company of soldiers rode up to the manor. Thomas quickly secured Charles in the priest’s hole and went downstairs to deal with the dragoons. Ironically, the soldiers had come for Thomas, not Charles, and they had no idea that the Royal Prize was crouched upstairs in a priest’s hole. Their quarrel with Thomas stemmed from rumours that he had broken his parole from Naseby by fighting for the King at Worcester. When they saw Thomas, they were ready to “pull [him] in pieces.” Their next logical step would have been to search the house for Worcester fugitives. Thomas swore his innocence and charged the dragoons to inquire with his neighbours who could vouch for him. While they interrogated Thomas, a ‘priest-catcher’ named Southall, made his own inquiries in the stables for the Fugitive King. With fleeing bands of Scots passing through the area, the enterprising cove was keeping his ears open for any chance of securing the reward. But Thomas’s smith said nothing, not even to mention that his master was hiding someone from Worcester. After many hours, the dragoons received their confirmation that Thomas Whitgreave had not fought at Worcester, and they released him. Against all odds, the dragoons packed up and left without once searching Moseley Old Hall—without ever finding the Fugitive King. Charles’s luck had saved him yet again. Before Charles left for Bentley Hall, he told Thomas that if it pleased God to restore him to his kingdom, they would never need more “privacies” (priest’s holes). In later years, Charles did try to pass laws that guaranteed religious tolerance, but that was a fight he was not destined to win. On his deathbed, Charles converted to Catholicism, and it was Father Huddleston who gave him last rites. This brings me to a bonus feature in Find the Fugitive King series. Lord Wilmot has long been credited as the “mastermind” behind Charles’s escape. I leave it for you to decide. As mentioned in the previous instalment (Part 1), before Charles and his companions parted at White Ladies, he and Wilmot agreed to make their separate way to London and meet at an old haunt. While Charles and Trusty Richard were fending off the belligerent miller, John Penderell took Wilmot to Wolverhampton, where he eventually found his way to Moseley Old Hall. Thomas arranged for Colonel Lane to receive Wilmot’s next at Bentley Hall, but Wilmot initially declined the offer. Later when John Penderell brought news that Charles hadn’t made it across the Severn to Wales, for some inexplicable reason Wilmot thought better of it and accepted Lane’s invitation. Shortly after Wilmot arrived at Bentley Hall, he received word that Charles was, in fact, on his way to Moseley. Wilmot left Bentley and returned (again) to Moseley in time to greet his fugitive friend. Then the next day (Monday September 9th) Wilmot returned back to Bentley. Aside: the game of tennis was a popular sport in the 17th century yet Wilmot has never been recognized as one of its top ten players. This leaves me to wonder how Wilmot travelled six miles from Bentley to Moseley when his horse was still stabled at Bentley? Stay tuned for my next instalment of Find the Fugitive King Part 3 when we explore role reversals and see how a fair maiden rescues the Fugitive King. Inset pictures courtesy of The National Trust. This entry was posted in 17th century and tagged Charles Stuart, Colonel Lane, English Civil War, Escape of King Charles II, Father Huddleston, Highwayman, King Charles II, Moseley Old Hall, Penderell, priest's hole, Thomas Whitgreave, Wilmot, Worcester. Bookmark the permalink. Truth is stranger than fiction! Such intrigue. It’s so true, Gwen. If I tried to pass this off as fiction, I’d be torn apart over it. I love the reference to Wilmot playing tennis. It’s a game that suits him superbly, and your description of him here supports that. I saw a portrait of Wilmot, by then the Earl of Rochester, in the Charles II hall of the Albert and Victoria Museum. What a handsome rascal he was, and it is certain that Charles’ loyalty to him, George Villiers, and others who shared this misadventure with him after Boscobel bordered on stubborn denial of any subsequent failings. But I think the real reason for Charles’ attitude to his friends’ bad behaviour was more to do with his understanding of an age where nothing is certain, and no-one could be judged for choices they made or had to make in such perilous and illogical times. And in some vein, I think he preferred the wicked to the righteous, as he knew how much closer to the truth it was. In any case, our Merry Monarch bore the slings and arrows with humour and grace, and oftimes with inexplicable coarseness and unpredictability in his own choices. His true motivations were often obscured, and the layers to find the kernel of their origins too well buried. One thing is certain: many of them came from this very time in his life, and it’s almost certain that he understood that only too well. PS, Love the pics…can’t wait for the next installment! Thanks for the comment. I really appreciate it. WordPress is dead easy to put together. There are videos on Youtube that can help. If I can do it, anyone can.